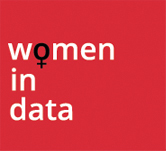 Women in Data UK and dunnhumby are pleased to announce an evening of talks from some of dunnhumby’s finest, as well as networking and an interactive session at their offices in Hammersmith, London. The transition from hands-on delivery of work vs. leading and delivery through others. This is particularly pertinent to tech, because tools and trends are changing rapidly and there’s a fear that you could lose touch by stepping back from coding. Interactive table session: Enjoy discussion and interaction with your peers in this fun session.